Assign an email from a Google Group as a task to anyone in your team. Know who is doing what in seconds. Know which emails are closed, and which require attention in seconds - right in your Gmail. 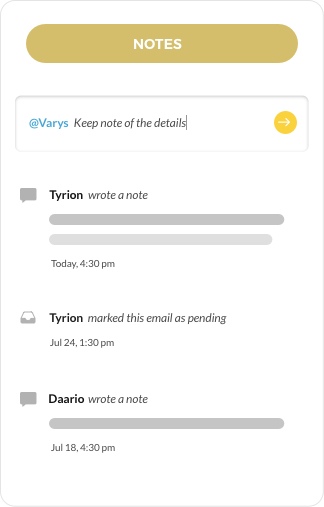 Communiate internally with notes for emails and @mentions. No more confusion CCs, Fwds and BCCs. Email notes live alongside your emails, and help your team have an internal chat about emails in your Google Group. See a full history of actions taken on an email that was received in a Google Group. Know exactly what happened, and when. 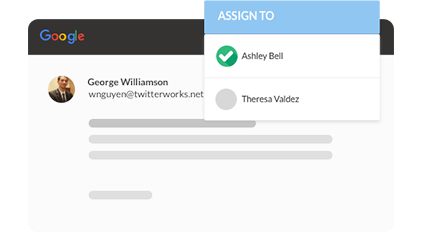 Easy collaboration on your responses, minus all the confusion. 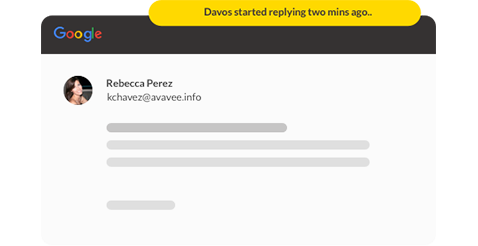 Get notified when a colleague is responding to a Google Group email. Avoid duplicate and conflicting responses. 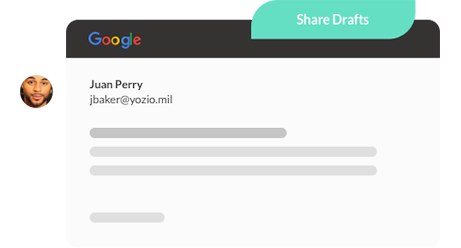 Write email and share it with your colleague as a draft for a review/ reuse. Hiver is a lifesaver, as our customer service team is now able to easily categorize every single mail we get. Therefore, our troubletickets’ system is now 100% backed by Hiver and it has never worked so well before. Hiver has made it extremely easy to provide outstanding service to our clients - right from our Gmail ! Hiver is extremely easy to use. 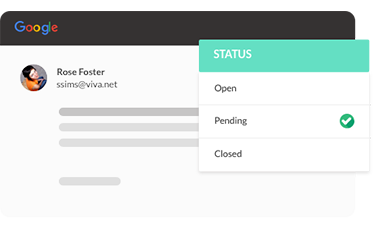 Makes it super easy to manage the customer support for our freight shipping business. It has completely taken care of the requirements of delegation and collaboration in our teams. Hiver has made it extremely easy to provide outstanding service to our clients - right from our Gmail! 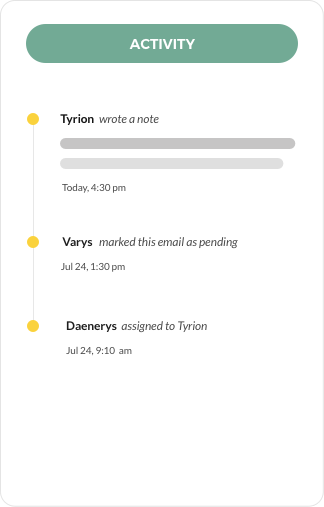 Automatically assign emails to teammates using easy to set up rules. Do round-robin assignments or simply close and archive emails that don't need attention. 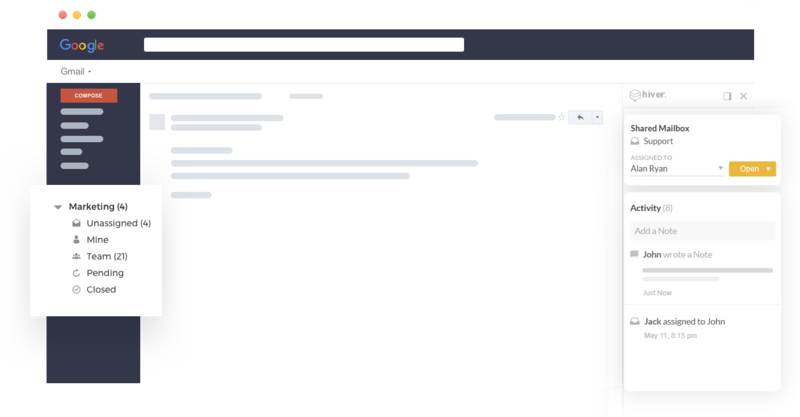 Get deep insights into how your team is doing at managing emails. Access key metrics like response time and resolution time for customer emails. Connect your Gmail with other tools. Use our Zapier endpoints to connect to dozens of other products. Our Sales Representative will contact you soon.